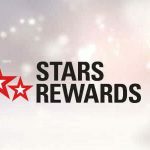 Are PokerStars Heads-Up Tables being Removed on Friday? 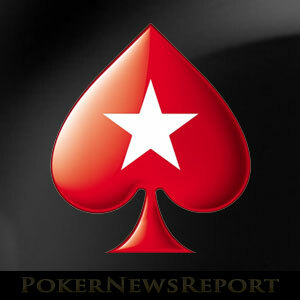 Home » Poker News » Online Poker News » Are PokerStars Heads-Up Tables being Removed on Friday? According to postings on various social media sites, regular PokerStars heads-up tables are being removed on Friday and replaced with HU Zoom Poker tables. The as yet unconfirmed news regarding PokerStars heads-up tables was broken on the popular 2+2 poker forum and quickly spread via Twitter and Reddit. The source of the news appears to be an email reportedly received by several players that informs them that, as from Friday 12th February, NL Hold´em, FL Hold´em and PL Omaha regular heads-up tables will be removed from PokerStars lobby. Naturally, those who were most affected by the changes were the first to kick off – especially about the short notice period. Some players claimed that the decision to remove PokerStars heads-up tables was being taken too early following the introduction of a heads-up “King of the Hill” table selection policy, and that the policy had not been given the opportunity to reduce “predatory behaviour”. Others said that the top-stakes players would move down into lower limit Zoom games – killing the higher stakes Zoom Poker tables and harming the recreational player experience for less-skilled players who would lose their bankrolls at a faster rate. Most complained that fast-fold Zoom Poker tables do not allow players to identify and take advantage of their opponents´ betting traits. In among the mostly negative opinions on the 2+2 forum, one player – “shane536” – gave an example of why the decision to remove PokerStars heads-up tables and replace them with Zoom Poker could be positive. In his post, “shane536” explains that he is a recreational player who wanted to play regular heads-up to simulate what the end game of a tournament would be like. 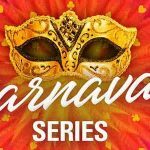 Shane relates how, on one evening last week, he was unable to play more than ten hands of heads-up PL Omaha within an hour due to players sitting out as soon as he demonstrated he was a capable player or due to players who had played against him before instantly sat out as soon as he joined a table. Shane believes that “at least with Zoom you join the pool and can get an hour of cards in during the hour you have to play”. Whereas the 2+2 forum seemed to be packed with haters, the opinions expressed over on Reddit were more positive – one contributor brilliantly suggesting that the removal of PokerStars heads-up tables would force those who were upset with the changes to improve their game rather than preying on new and weak players. Most agreed that the changes were a step in the right direction for PokerStars and that players who desperately wanted to play heads-up NL Hold´em still had the option of playing HU Sit & Go games. The capping of bets on selected Zoom Poker tables was also seen as a positive move by many players, as this might loosen up what is seen as a very tight version of NL Hold´em and increase the volume of action at the tables. As mentioned at the beginning of the article, there has been no confirmation that PokerStars heads-up tables will be removed on Friday. However, due to the number of players claiming to have received emails, we assume that the changes will go ahead and that the only option for players who want to play heads-up Hold´em and Omaha from Friday will be to play at the Zoom Poker tables. It will be interesting to see how the changes play out.